Worcester Cavaliers fought back for their first win of the Premiership Rugby Shield in a tremendous 32-26, bonus-point triumph over Leicester Tigers at Loughborough University. Leicester got off to a barnstorming start as Robbie Povey and Sam Lewis went over to make it 14-0 within the first six minutes but Cavaliers battled back with impressive scores for Tom Howe and Ollie Lawrence. A Joe Ford penalty either side of the break extended Leicester’s lead but Mason Tonks’ try brought Worcester to within one before a Ford drop-goal edged Tigers further ahead. But Cavaliers stepped up a gear in the latter stages as Ted Hill went over for the try-bonus point and Farai Mudariki put the game to bed at the death on a fine night for the youngsters. Tigers got off to a whirlwind start as James Neal set full-back Povey through under the posts and just two minutes later the hosts bagged a second after Ben White’s electric break allowed lock Lewis to dart straight under the sticks. Cavaliers needed a reply quickly and after some good pressure in the Tigers 22, Luke Scully was able to chip over three points to get the visitors off the mark. Tigers enjoyed more good field position in the Worcester 22 but as they looked to attack with ball by halfway on the 20-minute mark, Howe was alert to intercept a pass and race in under the posts from 45 metres. However, they were soon pinged in front of the posts and Ford was able to extend the hosts’ lead from the tee. The fly-half then helped himself to another three points after another breakdown infringement from Cavaliers. A testing Tonks chip-and-chase then had Tigers under pressure and after the ball was kicked back to Luke Baldwin, the skipper shifted it to Howe who carved a line in the Leicester backs before sending Lawrence strolling down the right and over the chalk. Scully kept up his good work from the tee with the conversion to bring Cavs within three and despite some heavy pressure heading into the break, the score remained 20-17 at the halfway stage. Ford kept up his 100 per cent kicking record in the match (at that stage) with a long-range penalty early in the second-half but Cavaliers responded immediately as Scully created space before getting it through his backs and out to Tonks who galloped to the corner, bringing Worcester within one. Tigers looked to put the pressure on and Ford sat back in the slot to nail a drop-goal before another charge from Lawrence looked like Cavs were set for a fourth try, but his offload for Howe was knocked on agonisingly over the whitewash. Gordon Ross’ side finally took the lead for the first time on the night in the 63rd minute when a menacing Nick David break opened up the space and Hill ran a fine support line to edge Worcester ahead. Ford, who’d kicked well most of the night, had a chance to restore Leicester’s lead with a kick from the angle on the 22 but whipped it wide and then put a kick for touch past the in-goal area as Cavaliers survived a couple of scares. David produced another scintillating break in the final stages and almost found Howe out wide to seal the contest but it was knocked forward just short, letting Tigers off the hook. But Cavaliers played sensibly and patiently to hold possession late on before Mudariki crashed over to send the away fans into jubilations. 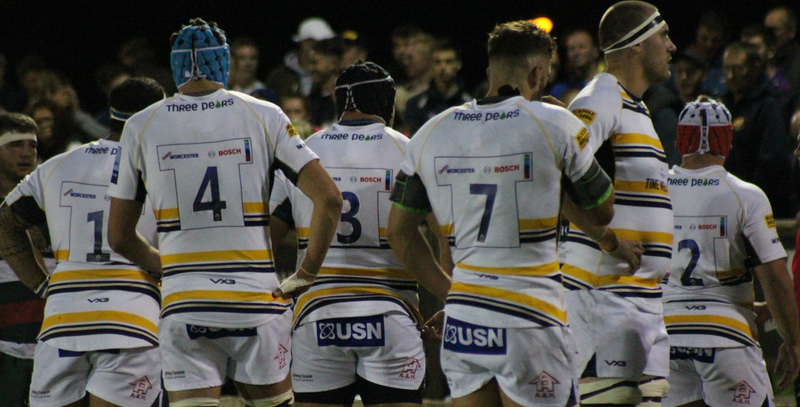 The Cavs take on Sale Jets next up at Sixways on Monday 24 September.